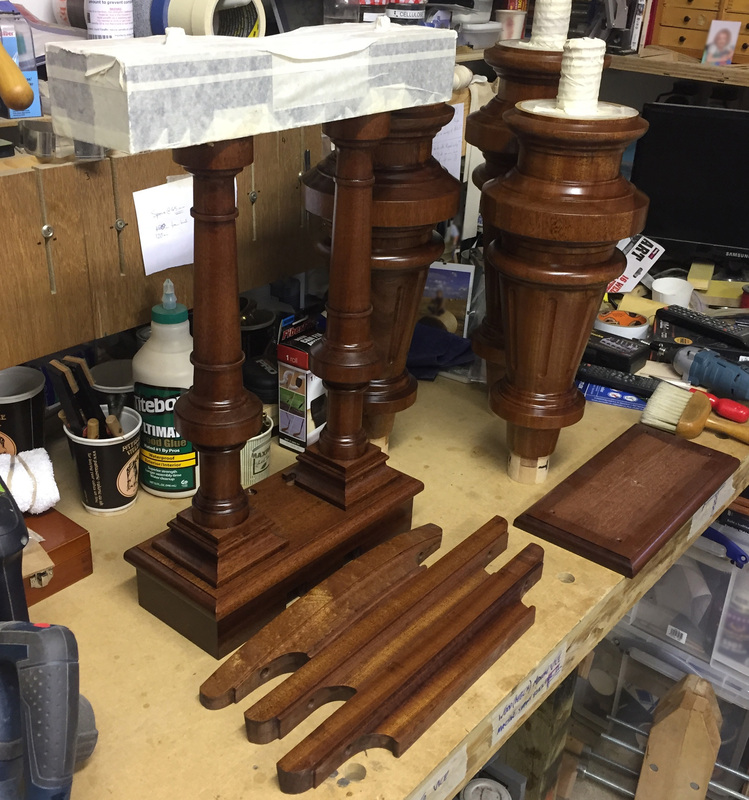 A recently finished job – making new legs, all threaded wooden case fixtures, and lyre for a Style-X Blüthner. Beech cores, with Mahogany outers for a closer colour match to the Rosewood case. Please look here for a picture of the legs after staining and finishing. In the past I’ve used the original cores from turned legs that have been boxed – this was the first time I built legs from scratch. The original legs and threaded fittings had all been removed in the past and replaced with modern square legs.